This series kind of reminds me of a pop song where the lyrics were chosen not based on their actual meaning, but based on how they sound with the music and the images they invoke. As far as I can tell, the story is kind of cheesy and slow-paced, but it doesn't matter to me, because I'm hardly paying any attention to it. The thing about those pop songs is that they're a lot better if you just ignore the lyrics, and focus on the music and the feelings. So that's what I'm doing here - I'm ignoring the semblance of a plot, and just focusing on the cutesy artwork and the faux-emotional dialogue. My reading experience would've been only slightly different if I were reading the untranslated Japanese version. It's kind of fun to read like that, but I don't gain anything from it - it's kind of a waste of time. So while I don't intend to continue with the series, I bear no ill will to the books I've read. And if you enjoy fluff simply for the sake of fluff, there's no reason for you not to read this book. I love this series. There's a good bit of character development going on here, especially with the rival. And so pretty. The unrelated bonus story was ok, but it didn't quite live up to the main story. But at least it was just as pretty. Again, this feel so disjointed and messy that its hard for me to read. The text feels jumbled and the scenes shifts so often and abruptly is hard to keep track. And the romances feels so wrong like this 12 year old and the 17 year old... its just gross! 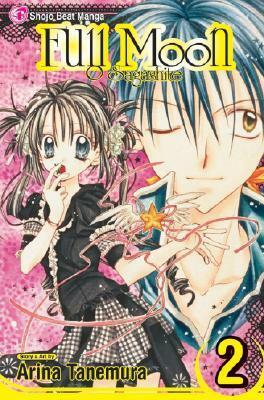 I remember reading "Kamikaze Kaito Jeanne" and "Time Stranger Kyoko" and loving them when I was younger so I so confused that I hate this one and "The Gentlemen's Alliance †". Shinigami Izumi meddles with Mitsuki as well as the emerging love triangle in volume two. Rival singer Madoka's past is revealed and her character is developed a little beyond mean rival status. The love triangle further complicates things as Izumi declares his love for Meroko, and the past of the shinigami is expanded upon, giving the series a slightly edgier hue. Their situations are more developed and therefore much more interesting for me as a reader.It's a cute story, though it's full of the usual tropes and cliches. The terminally ill girl is perfect and selfless and wants everyone to be happy forever. Takuto feels bad for her and makes her dreams come true. Of course there's a love triangle (though it does create some character complexity). The artwork is beautiful. Younger YA fans will get the most out of this manga; for me, it was too childish and cliche to love.I liked the short bonus story at the end - maybe it's because I'm a pianist myself. It also had the ill yet bouncy female lead; it seems to be a theme for Arina Tanemura. Mitsuki is doing well as a singer, along with the help of two harbringers of death. Her music is doing well and she still hopes to find her friend, who she loves very much.I loved the first volume of this. Thought it was so good. This volume is not bad, but I didn't like it quite as much as the first one. This took a little bit to get into, but once I finally did get into it, I enjoyed it very much.I really like Mitsuki. I think she is a really sweet character and I liked that she explained more about why she wants to find her friend. Takuto and Mereko are interesting characters too. Overall, I did like this volume and I'll definitely read the next one.Also, the unrelated story in this volume was nice too. It was a sweet story. Volume 2 consists of chapters 6 through 9, plus a standalone bonus story called "Gin-yu Meika".Overall, volume 2 is definitely an improvement over volume 1, as it feels as if the author is finally getting a handle over the story. Where as volume 1 felt very sporadic in story (as if there were no long term plans), volume 2 starts to flesh out the characters and what possibly might be the true story of the series. As usual, things get a bit sappy and cheesy, but this comes with the territory of shojo manga. As long as this positive trajectory stays the same, then I'll have hopes with the later volumes. The art is absolutely adorable! The heart warming scenes between Takuto and Mitsuki are just... So cute! And the way Meroko gets all gun-ho about it afterwards! Hahaha.I definetaly reccomend anyone who hasn't read this before to read it. The tradegy, the drama and the love just makes you cry at some pages. Still good. Second read reveals plot hole concerning the relationship between Takuto and Mitsuki (and the age difference that is probably about 10 years) but hey this is in a manga where the 12yo turns into a 16yo whenever she needs to for plot purposes and in his mind Takuto never lived past 16 so.... I deem it not squicky. Still a little odd but I think it works. Again, very different and more fast paced than the anime, but just as good in my opinion! I also enjoyed the short comic at the end of the book which was about playing the piano and why we choose our hobbies. All in all a very good manga with very good art as well! Still trying to get into this series though it hasn't completely hooked me, yet. Takuto fights against remembering who he was. Mitsuki has trouble with a rival stealing her lyrics. I will keep going. The artwork is cute, the outfits are cool, just want to be grabbed a bit harder by the plot. August 2013: 5 StarsYet another cute volume (although there were parts that confused me)! Just one question: who's the guy at the end that makes Mitsuki gasp? Is it *the* Eichi? ?I can't wait to read volume 3! This series is getting a bit darker, but it's still really entertaining. 3.5 starsA definite improvement from the last volume. I still don't love it, but I'm getting more interested in finding out how the story unfolds. It was your typical manga. Not bad, but not amazing. While the first volume was alright, I dropped interest with the second volume. Maybe I'm just too old for this story..
Jamas había tardado tanto en leer un manga u_u´, seguiré con los siguientes tomos para hacer un review más objetivo porque hasta ahora me parece demasiado predecible y cursi. This volume was kinda meh in terms of storyline. I can hardly even remember what happened, that's how boring it was. But seriously.... two love triangles? Ugh, come on now.